This topic contains 62 replies, has 27 voices, and was last updated by Sasha Adams 5 days, 14 hours ago. Hey there, not sure if you are asking me, but yes, mohair for the warp and weft in the dented sections. Not really crammed either just a yarn that was about twice epi as the mohair. Gorgeous! Did you use the mohair for warp too? So, the upshot is this is going absolutely fine. I’m using my Schacht Standard loom and the weaving is a dream. I warped in my “comfort zone” as Tom Knisely says -front to back. I kept tension on while warping and it went very smoothly. 1 thread broke (I’d say that’s not unusual for such fine thread) – but, all in all, is working great. 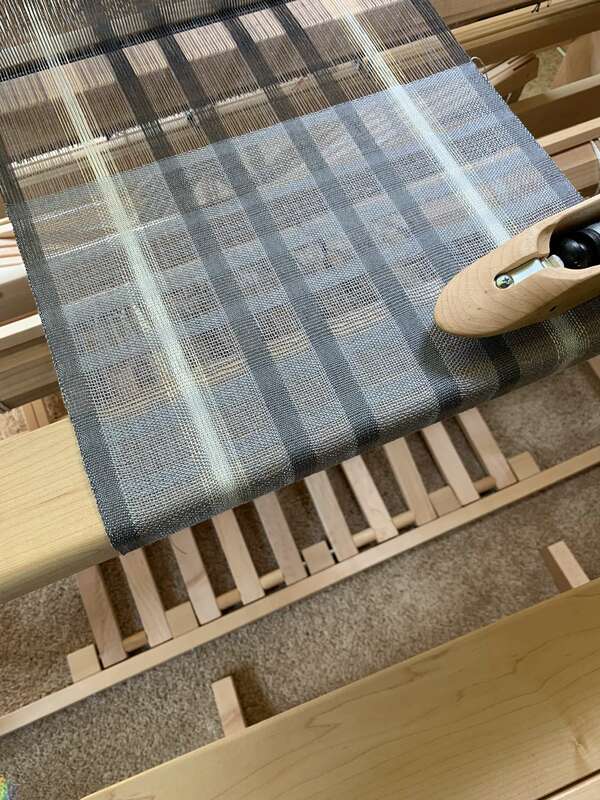 The weft is 30/2 silk – I’ll try linen on the 2nd piece just for kicks. Best selvedges I’ve ever had! Oh – also an end feed shuttle. You all are so inspirational for me. Decided to take the plunge a little mohair and some cramming and denting. Beautiful soft colours Annette. Just lovely. 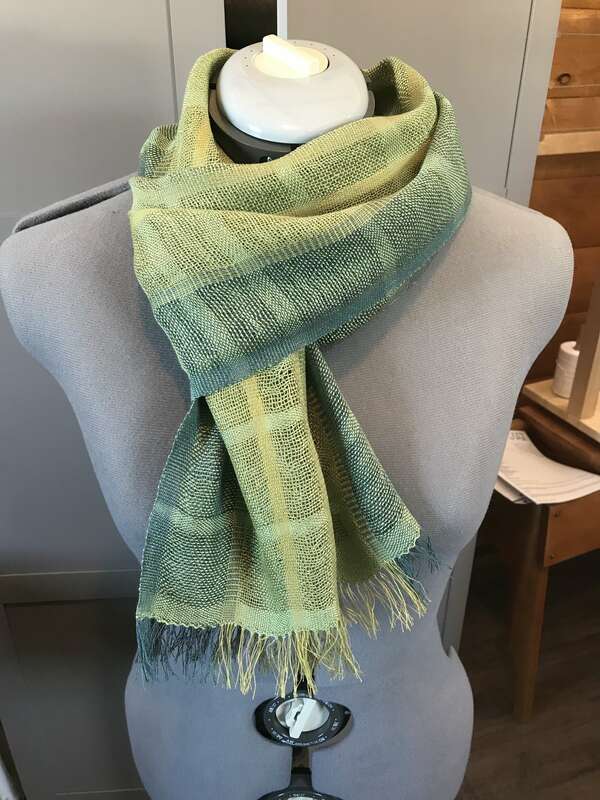 My crammed and dented scarf…40/2 linen warp, 30/2 silk weft. Idea provoking technique for sure. I did not follow any specific grid. Did it free style. 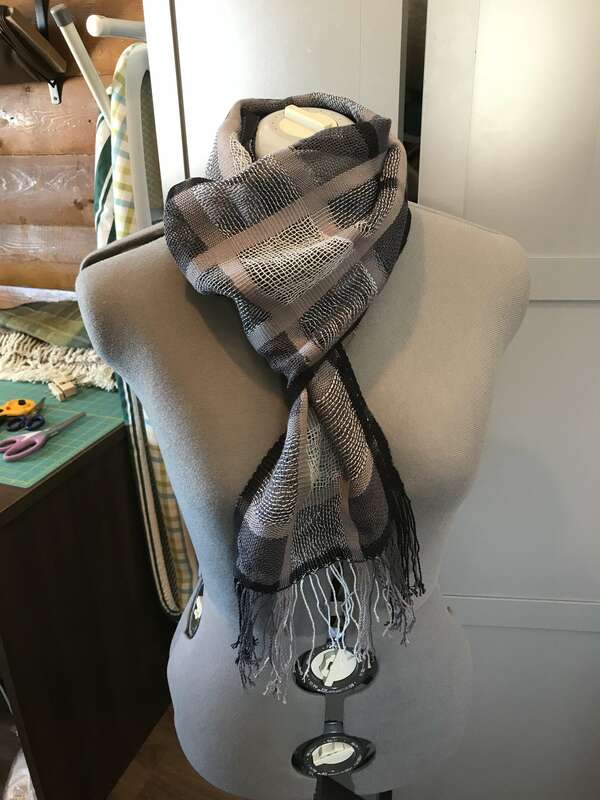 How come I cannot get to very very tight in weft, as I see it in other projects? I tried even kind of throwing the reed… I use a Louet Jane. This reply was modified 1 month ago by taty.lauwers. Your hem will stay in place even without that extra knot but it all comes down to how you like the look of it. You could definitely do an extra knot at the top of the fringes where you hem is and see if you prefer that. The first one is the cotton from the Denting warp, then the linen done in pattern and finally the linen with 30/2 silk in Old Man’s Beard. 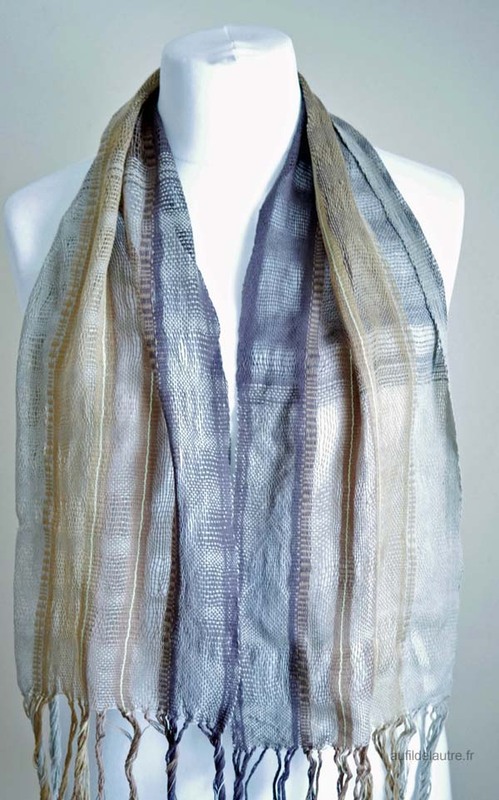 My favourite is the linen/silk scarf! 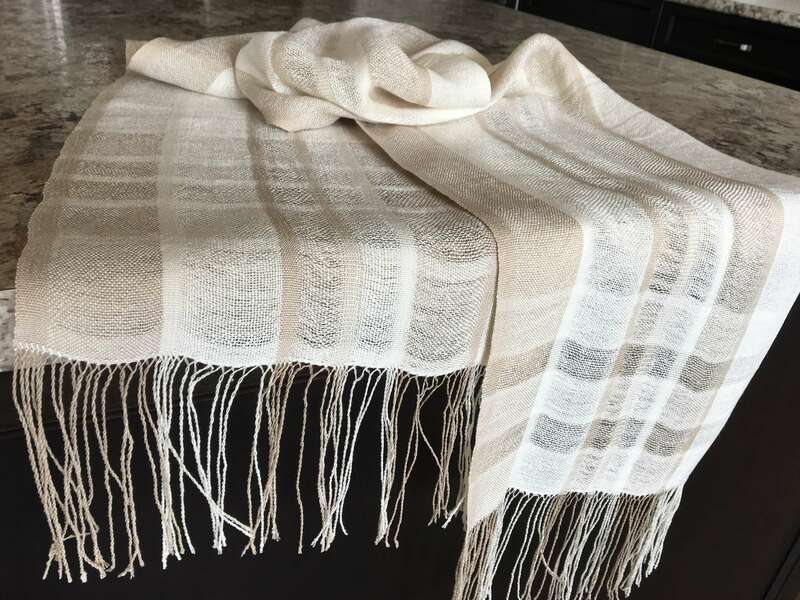 Is there any special knack with linen warp and weft tassels? The open areas look really thin and weedy when twisted. Just a knot at the top would give them a bit more body? 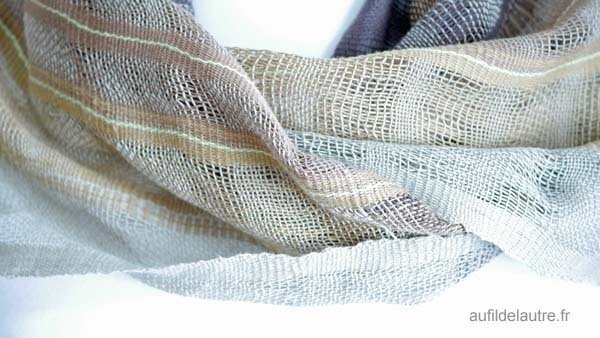 dlgorham ~ Your scarf looks so Springy—lovely color choices!! I totally agree with expanding my horizons. 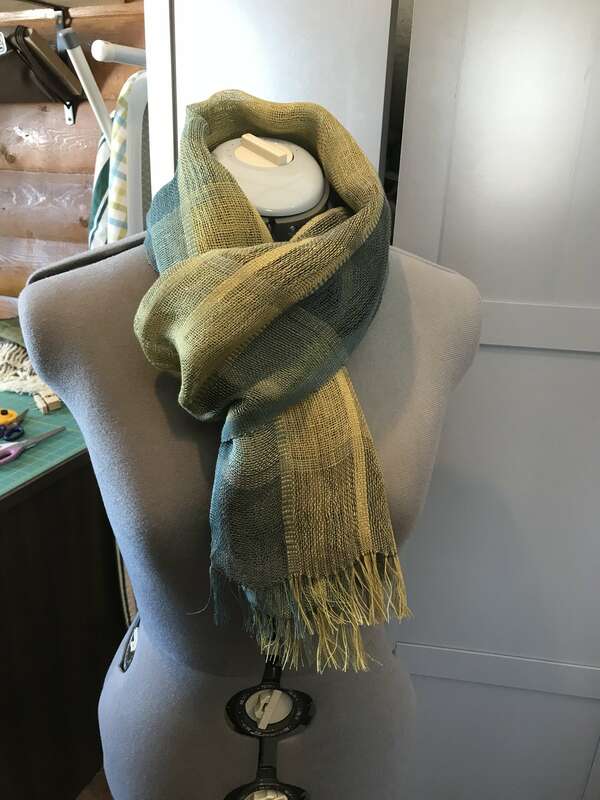 I’ve said this before, I am so thankful that Jane started this online guild, as a new weaver I am learning so many techniques. Who knew you could cram or dent in weaving!? 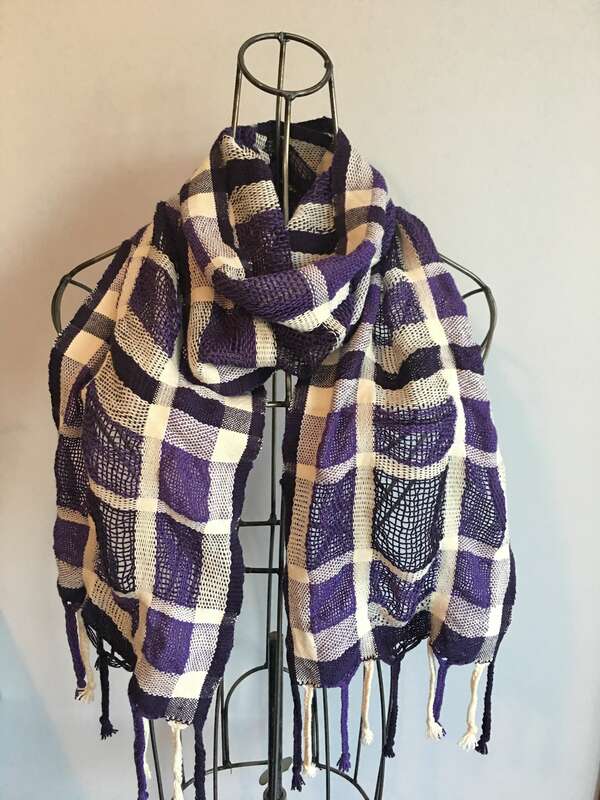 I posted this on Ravelry but wanted to share it here too. It is 8/2 cotton (dark purple, purple & natural). I think it would be amazing in silk but my weaving stash is mostly 8/2 cotton.